As previously announced, both KIX airport's related facilities and our warehouse has been severely damaged stricken by Typhoon No. 21. Red highlighted information have been added from the previous announcement. - Sep. 22 for departure & arrival flights * Will resume acceptance from Sep. 21. - Oct. 30 for departure & arrival flights * Will resume acceptance from Oct. 29. *For passenger flights' schedule details, please refer to ANA Web site. - Sep. 26 for arrival flight & Sep.27 for departure flights. - OCT. 14　for arrival & departure flights. *For freighter flight' schedule details, please refer to ANA Cargo Web site. - Nov. 14 for arrival trucks & departure trucks. - International cargos to be loaded on above applicable flights, departing & arriving at KIX. 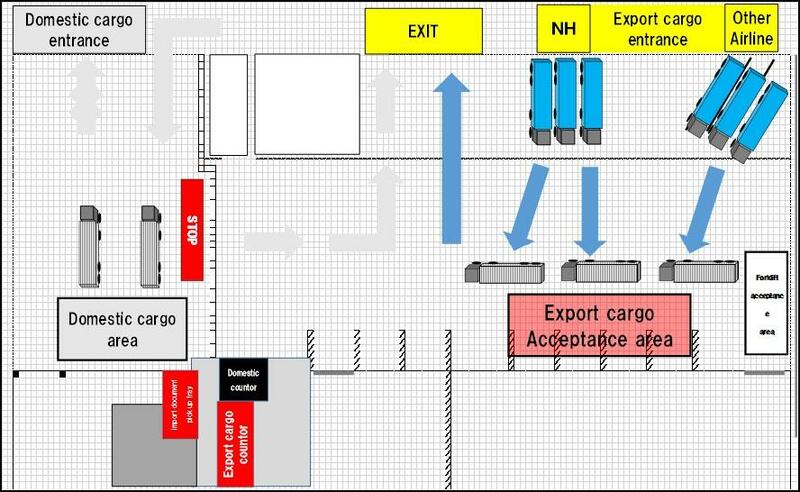 Other: Import documents are to be delivered on the first floor in export building (in front of acceptance counter). Please be informed that the sky-bridge connecting JALKAS warehouse and ANA import warehouse is still under construction and being closed now. Should you have any inquiries, please kindly contact our Sales or Airport staff in charge.